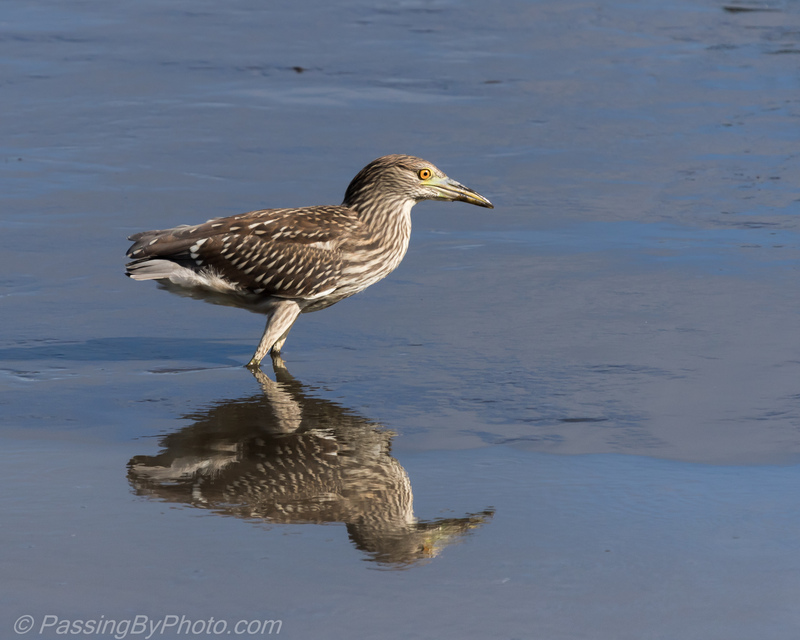 The Juvenile Black-crowned Night Heron was part of the wading bird mix in the receding waters of this pond last week. Despite their name we do see them out during the day hunting while the hunting is good. 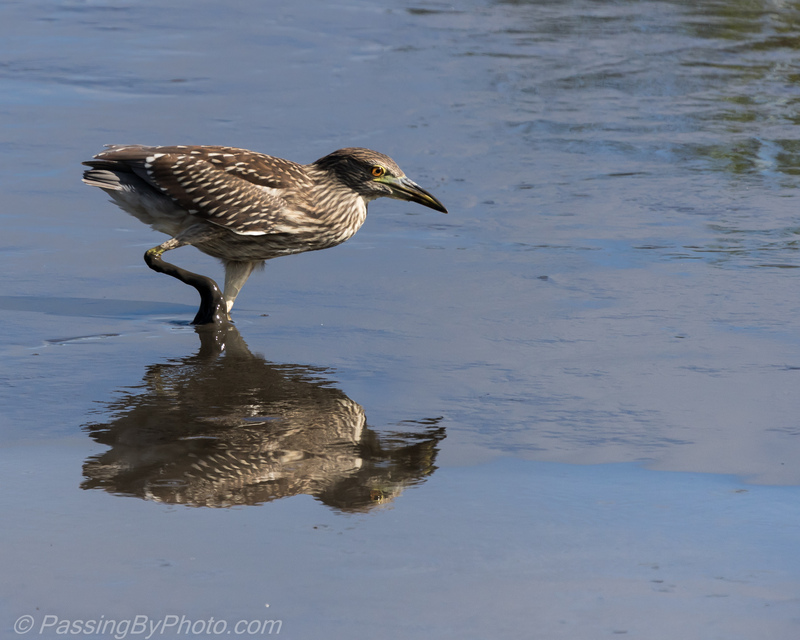 His shorter legs did not slow him down as he worked the water along with the other birds looking for food. The mud, however, is more of an impediment when most of your legs and feet are in it. 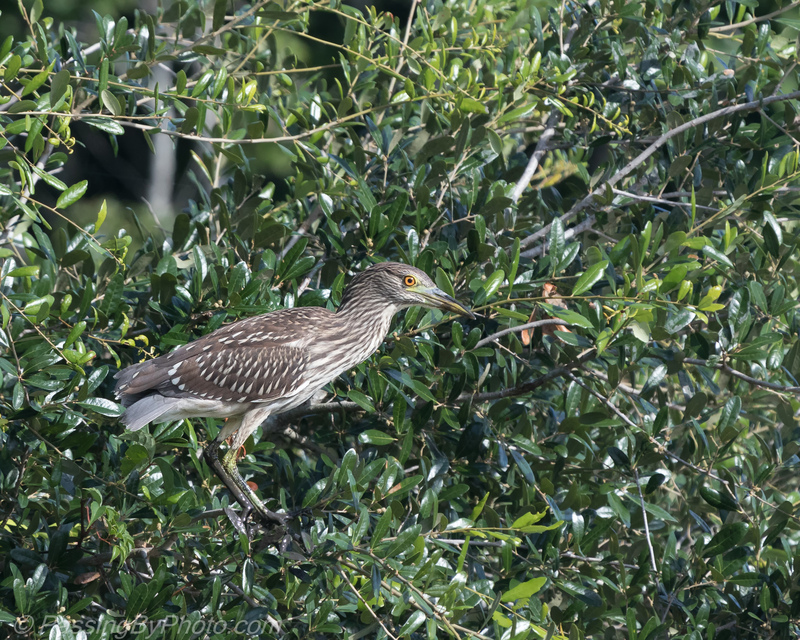 Here is view of a cleaner bird after he flew into a tree for a safer vantage point of the pond activity. Lovely shots of the heron. 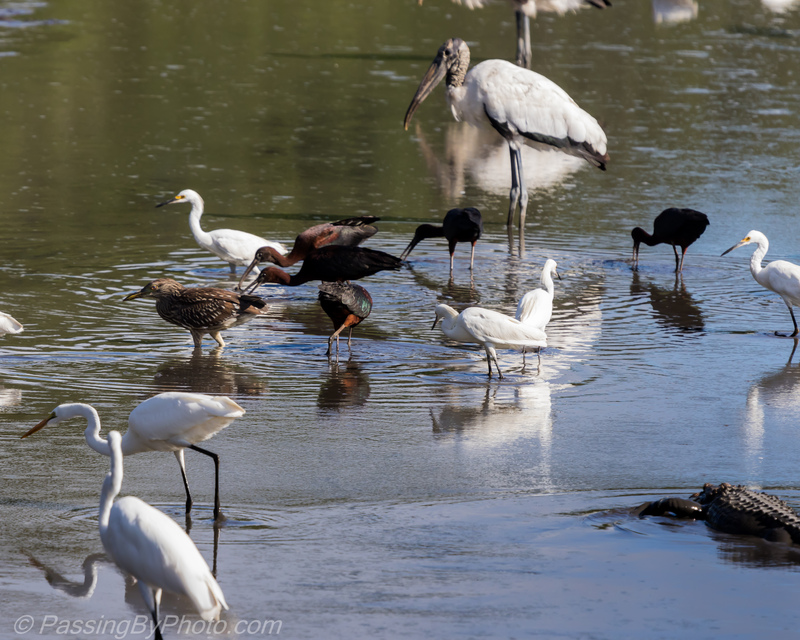 I’ve only seen herons fish alone, so seeing the activity in the first photo was very interesting. Thank you, Belinda. That was the first time I’ve seen one in a group like that.